Co-Operate Mamas Nigerian movie Part 2 starring Patience Ozokwor (Mama G), Ngozi Ezeonu, Joyce Kalu, Ifeanyi Azodo, Chacha Eke, Urebuchi Okah, Queen Wokoma, and Ebuka Onuma. Did you miss Part 1 of the movie? Go to Cooperate Mama Part 1. 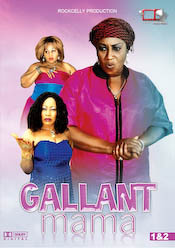 Watch Cooperate Mama Nigerian Nollywood movie online FREE. Nigeria Movie Network is a website to watch Free Nigerian movies for review, criticism, and commentary. Make sure to user our 5-Star Rating System to rate Patience Ozokwo's movie "Cooperate Mama Part 2".